Jim Kay's dazzling depiction of J.K. Rowling's wizarding world has won legions of fans since the Illustrated Edition of Harry Potter and the Philosopher's Stone was published in hardback in 2015, becoming a bestseller around the world. 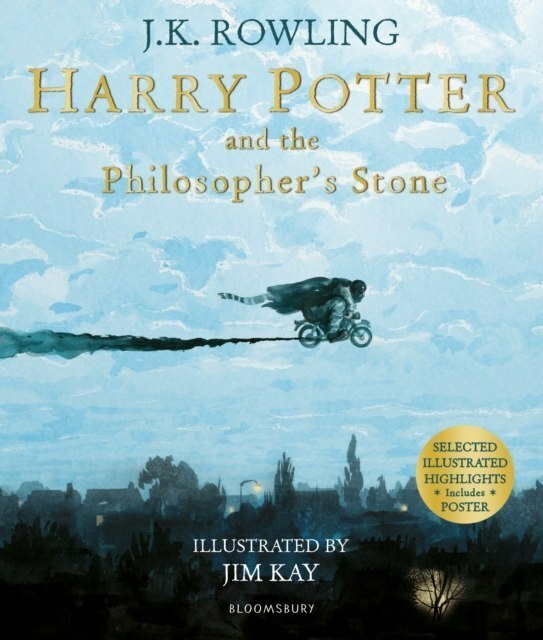 This irresistible smaller-format paperback edition of J.K.
Rowling's novel brings the magic of Jim Kay's illustration to new readers, with full-colour pictures, French flaps and a handsome poster pull-out at the back of the book. This edition has been beautifully redesigned with selected illustration highlights - the fully illustrated edition is still available in hardback. When a letter arrives for Harry Potter on his eleventh birthday, a decade-old secret is revealed to him that apparently he's the last to know.